Stack them all to make a big tree! 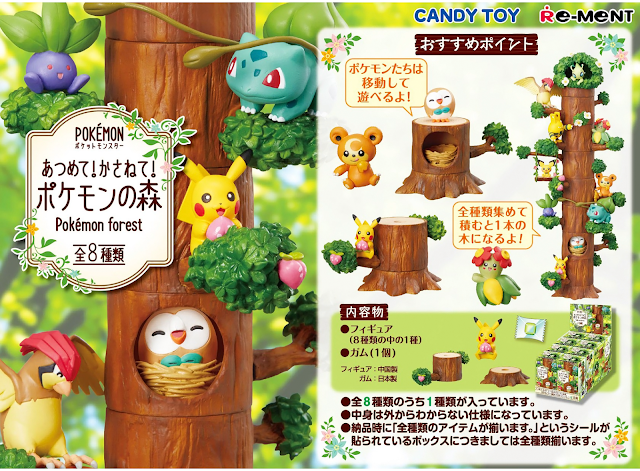 Re-Ment is back again with a cute Pokemon forest themed stackable figure set! It's very reminiscent of the Pikachu's Rescue Adventure short. Each figure comes with a piece of chewing gum. 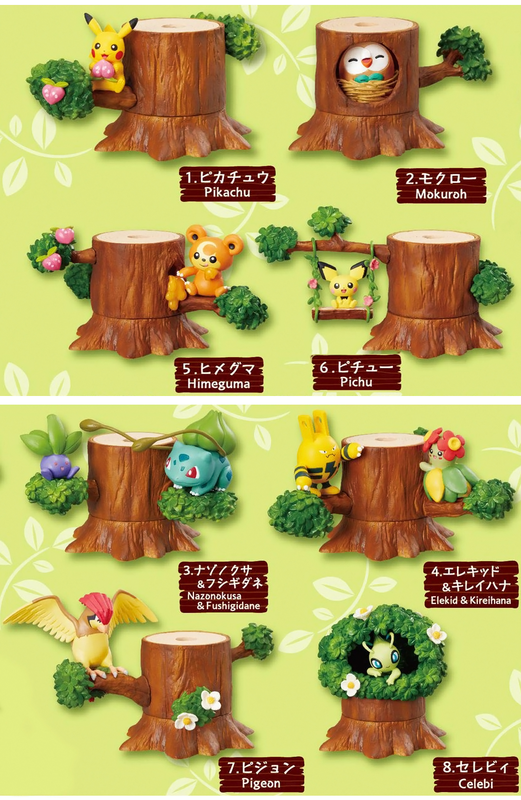 A box of 8 figures will cost 5,200 yen. The set will be released early April 2018.